Shedd Aquarium has reimagined the school group experience to challenge the notion that field trips are an out-of-class unstructured visit and demonstrate that a field trip can be a constructive learning opportunity that is relevant and valuable to today’s teachers and students. 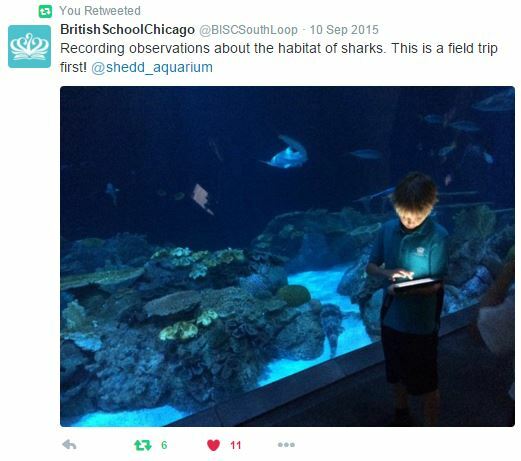 For more than two years, supported by the Institute of Museum and Library Sciences, a cross-departmental team at Shedd researched the needs of teachers, students, staff, and chaperones, and piloted and created an in-house field trip program based on the needs of teachers and 21st century learners. To complete the school group experience, the project also produced an orientation video, school group focused maps, a new registration process and pre/post experiences for teachers to utilize with students. Students using the Science Tech Treks app to observe animals, explore exhibits, and create their science journals. The Science Tech Treks was designed as an immersive technology experience, connecting K-5 learners to our animals and exhibits while aligning with Next Generation Science Standards. Science Tech Treks is a suite of four tablet based app programs: two for K-2 students two for 3-5 grade students. These apps are not general guides to Shedd’s galleries, but instead direct students to look closer at the animals, record data like a scientist and create a digital journal. During the experience, learners work in small groups to take photos and record their observations and predictions about live animals, their behaviors and their habitats, all within the tablet apps, no pen and paper required. These unique interactive learning opportunities mimic a scientist’s field observation log, connecting students with the living world while they develop science skills. Teachers automatically receive an electronic copy of the students’ work created in the app during the field trip to track their learning, and build upon their experiences during post-trip classroom activities. 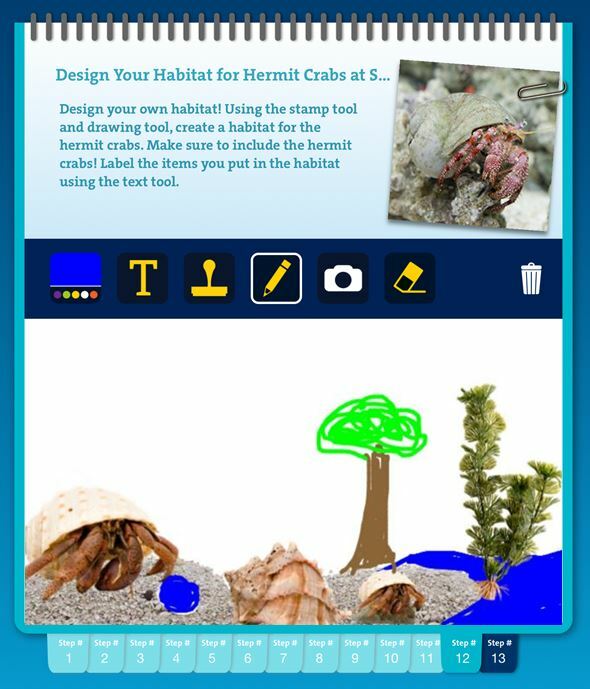 Students use the Science Tech Treks app features to design a habitat for a hermit crab. 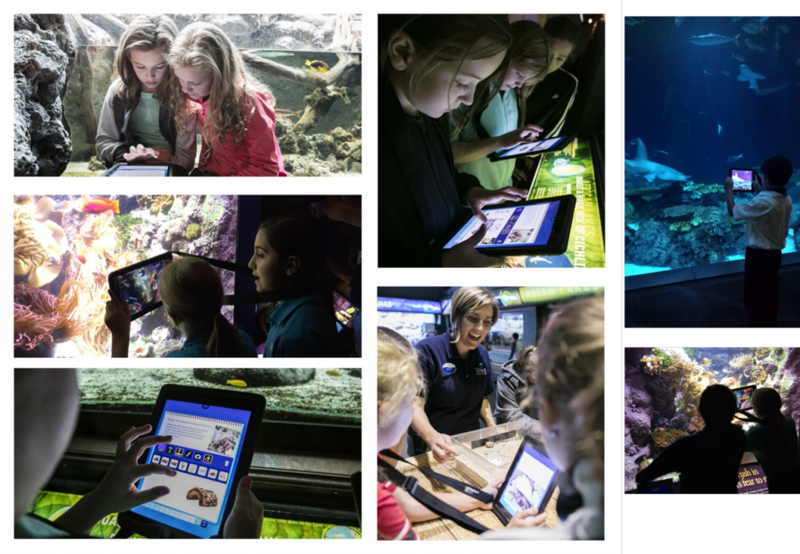 The process of reimagining Shedd’s school group experience, designing the app curriculum and building the apps was a collaborative effort across thirteen departments at Shedd including learning, animal husbandry, marketing, guest experience and technology. Science Tech Treks were launched in the fall of 2015. Within four months of launch there were 119 program registrations, impacting 3,366 students. Schools are sharing their Science Tech Trek experiences on Twitter.